Use any color of the dyes to color armor. 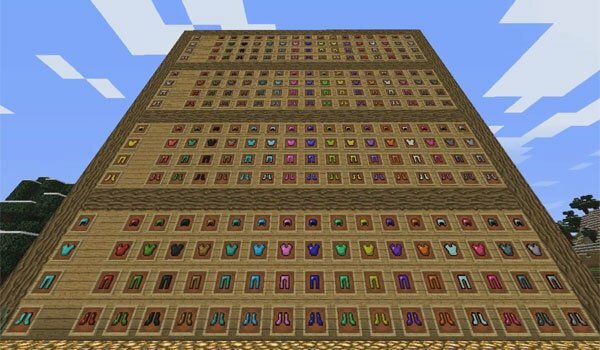 Colorful Armor 1.10.2 and 1.9.4 is a mod that allows us to use various existin dyes in the game, which are exactly sixteen at the moment, to dye any armor found in the game. So you can change the colors of the leather, iron , gold and diamond. That is, with the dyes we can get diamond armor and color it gray or gold, and other colors that allow us to customize our armor a bit. We can also tint the armor pieces individually, so we can have several pieces of different colors. How to install Colorful Armor Mod for Minecraft 1.10.2 and 1.9.4? Color the armor in any color in Minecraft!